At the beginning of the year I listed some of my New Year’s Resolutions for 2016 and while it covered the gamut of some foods, sites, and experiences, I didn’t fully delve into the places that I have yet to visit in France. Places that YOU might not have considered either. 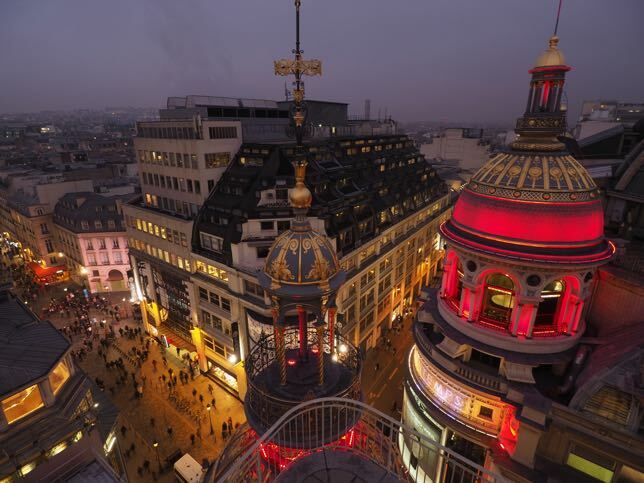 Although you might have already visited France once or twice, it is a BIG country and there is so much to see. So what other places in France should you see? Since my last trip, Étretat has intrigued me because of the natural arches and cliffs. Étretat is located in north-western France in the Normandy region and although I’ve been to Normandy (ie. D-Day beaches, Domfort, and Caen), I haven’t been finally visited Etretat and it was amazing! I was told that the best time to go is was May, June, and September but I went in July and it was perfect. Check out my post about Two Of The Best Ways To See The Cliffs At Étretat. Why Visit? 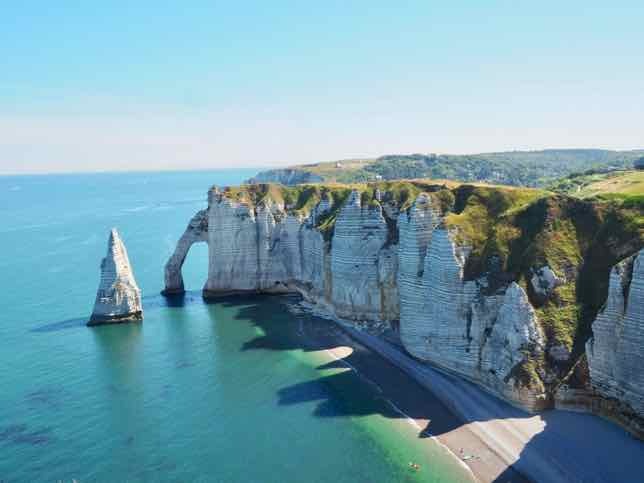 I love to do photography and want to see the stunning views of Falaise d’Étretat, which French author Maupassant wrote looks like an elephant. 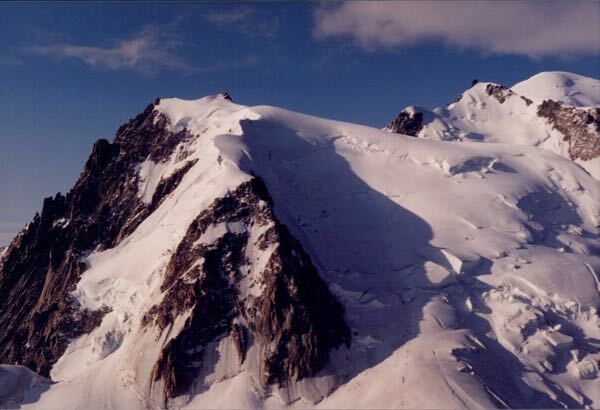 While I visited the French Alps years ago, it was simply to go up the cable car from Chamonix to Aiguille du Midi. At the intermediary stop, we walked around the area. It wasn’t really “hiking” per se. We then went up the Mont Blanc Panoramique cable car to get to the Aiguille du Midi. The next time I visit France (in July) I would like to actually join a group and do some serious hiking. I understand there are even opportunities to hike and stay in huts which are scattered throughout the area. The Chamonix valley offers 350 km of hiking trails and on the Chamonix tourist website there are also yoga/hiking adventures. Hmmmm! Update: I had a great visit in the French Alps and you can read about my hikes and stay here: Tale of Two Hikes and My Escape To Chalet Savoie Faire. Why Visit? To hike and see the spectacular mountain range. I have not now been to the far northwestern region of France, the Brittany area which includes towns like Saint-Malo, Nantes, and Dinard. 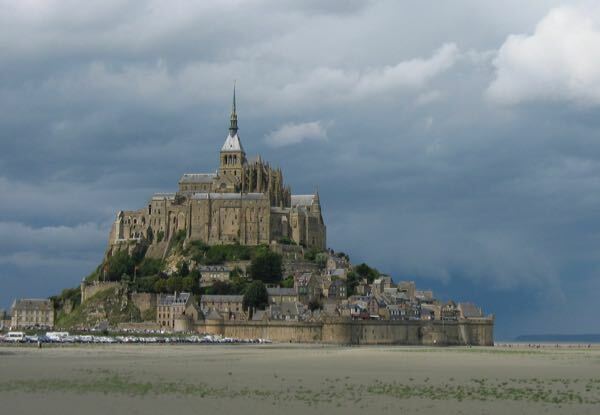 The closest I got was Mont Saint-Michel (first picture). 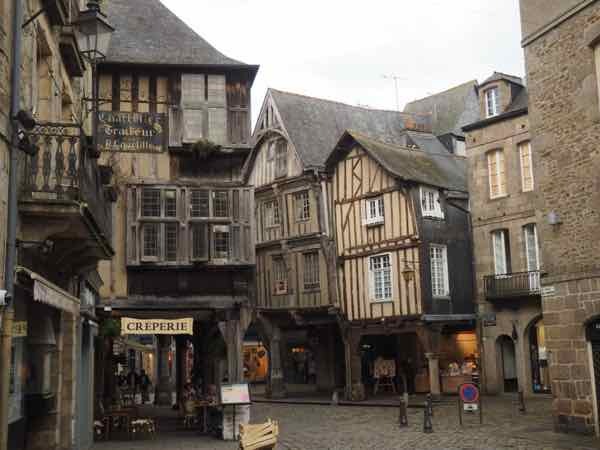 I really loved Dinan which had so many half-timbered houses. Check out my itinerary where I visited Brittany and Provence in June. Why Visit? lovely beaches, a number of walled, medieval towns (citadelles) and festivals with celtic music and dance. There is also the Côte de Granit Rose where the rock is pink and stretches along the coast for about 30 kilometers. What a great area to indulge in seafood and perhaps rent a bike to explore the area, as it is fairly flat. Ajaccio, Corsica is where Napoleon was born and is a favourite vacation spot for the French as the island is so close to mainland France. Bonifacio is a commune on the southern tip of Corsica where there is an old town and citadel. Why Visit: the citadel, hiking, limestone cliffs, and old town of Bonifacio. 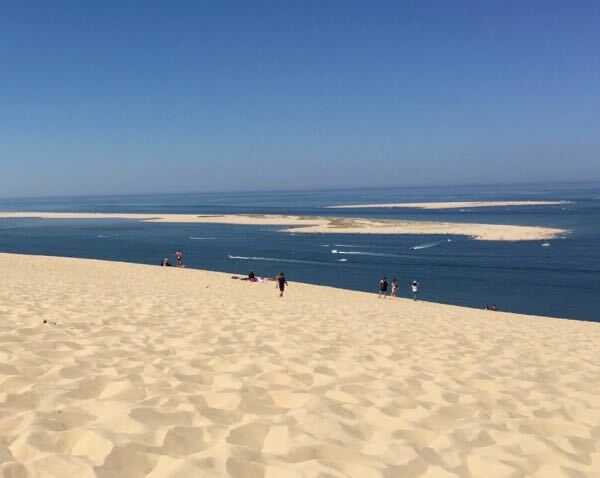 I only discovered recently that France has the largest sand dune in Europe, the Dune du Pilat. This should be on your bucket list as it is so unique. It’s not too far from Bordeaux. Why Visit: at the top (accessed via a staircase or actually climbing the dune), you’ll be able to see the ocean and forests and I’ve read that the view from the top is breathtaking. I’d also love to visit France again just to try surfing down the dune! It is one of the oldest canals still in operation located in southern France and was originally called the Canal Royal en Languedoc until the French revolutionaries renamed it Canal du Midi. It runs 241 kilometres from Sete on the Mediterranean to Toulouse. It is a UNESCO World Heritage Centre. 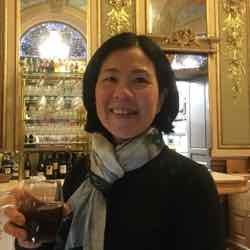 Why Visit: Like my visit to the Canal du Bourgogne in Burgundy, I think this would be a great area to ride a bike along the canal or take a barge cruise which I understand is very popular in this area. This seaside town is in the south of France, south of Perpignan and only 25 kilometres from Spain. It has a strong Catalan cultural influence and some compare it to Saint Tropez, but without the flash and high prices. I’m sorry I didn’t have time to stop and stay when I was last in Spain. 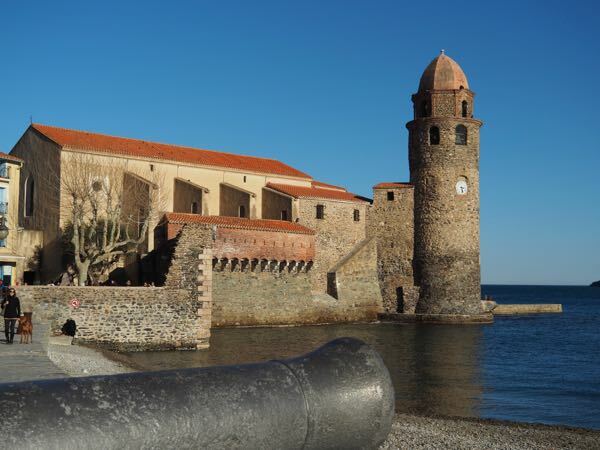 Update: I did get to visit in 2017 and here’s my post on the sites I saw: 36 Hour Stopover In Collioure. Why Visit: It’s on the Mediterranean and is a lovely fishing village but also has an 800 year-old chateau, ramparts, and a waterfront that inspired Henri Matisse. 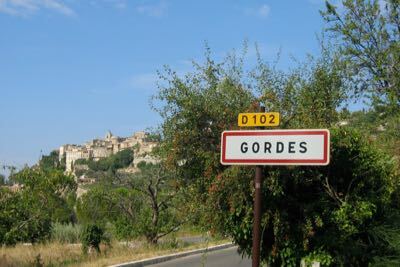 This town is at the entrance to the Gorges du Tarn. There is a 225 meter-long chain suspensed between two cliffs and from the chain hangs a gold star. Legend has it that a famous Crusades knight vowed to hang a gold star in the town if he returned to the town after being imprisoned. Why Visit: It is well known for its ceramics and pottery, especially faïence, and the gold star, of course. I guess I really like medieval towns, and the town was originally named Cordes until 1993 when they changed the name to Cordes-Sur-Ciel to indicate that the town was in fact high above, “in the clouds”. 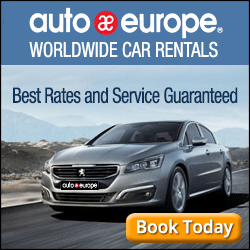 It is located just 25 kilometres north west of Albi. Why Visit: it’s a hilltop town that sometimes appears to be floating on clouds. 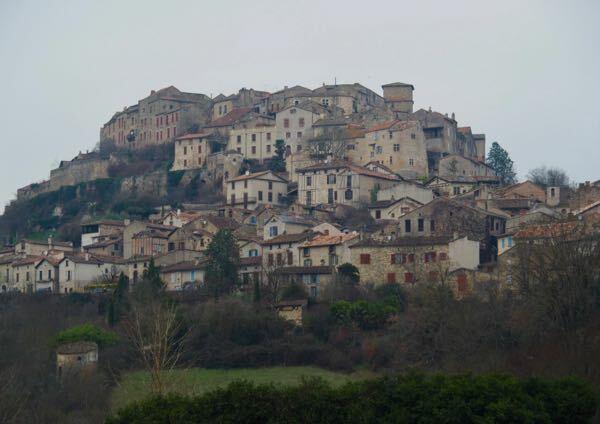 It has been named one of the most beautiful villages in France (Les Plus Beaux Villages de France). The river canyon is considered the Grand Canyon of France and is located in south-eastern region where the limestone cliffs and medieval villages surround the valley. Top 100 Experiences In France —–the list is getting bigger and closer to 100! 5,6 and 10 officially added to my list! Isn’t the variety of absolutely gorgeous places in France amazing? We often return to our favorites, such as Cassis and the Calanques, or Roussillon, but there are so many more places to discover! That’s why I love France so much…so many beautiful places. I love Cassis, les Calanques and Roussillon as well. What a great list. I’ve always thought Brittany would be fun to visit. Now I can add Canal du Midi, Collioure and Cordes-sur-Ciel to the list. I’m sure there’ll be another post with another 10 places I still haven’t visited too. Glad you found more for your list. Nice! France is always calling me! I have only visited Saint Tropez and Nice (plus Monaco) at the end of a Balaeric Islands and Corsica cruise. Loved Corsica! 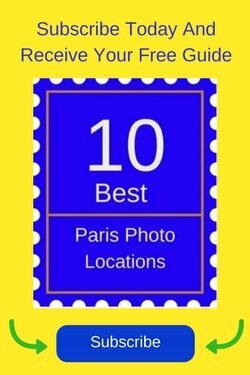 Of this list, Moustiers-Sainte-Mari and Étretat are of particular interest from the photographs. I would love to also visit the wine regions of France… maybe someday! Hopefully sooner than later! Will have to contact you to find out more about Corsica when I decide to visit there. OMG gorgeous, there are so many wonderful places to visit and a few of these I haven’t seen since high school. I definitely need to go back and add the rest of these awesome places to my France list. It’s always fun to go back to places we haven’t been to in ages. You’ve got some fabulous places on your list, with quite a few I didn’t know about. I have been to Corsica – I loved Bonifacio and would like to go back and explore the island properly. Wow, another person who’s been to Corsica. Hmmm….maybe I better move that place up the list to see next! This is a great list of alt places to visit in France. I already had Brittany, Corsica, and the Canal on my list, but there are so many more gems here! If I did them all, I might even be conversant in French! BTW, do you know of any good barge companies? It’s amazing how quickly you can pick up French just by spending some time there and pushing yourself to talk. Takes me about 2 days to “think” French. Sorry, I don’t know of any barge companies that I could comment on. Wow, haven’t been to any of these. Guess we haven’t seen as much of France as we thought we had. So much more to do! That’s why I keep going back! So much more to see. Ohh, 5, 6, 8, and 2 would be on my list. The canals look so peaceful. We’ve often thought about buying a long boat and travelling the canals of Europe for a year. Great Post! Inspiring. Now THAT would be so cool…having your own boat! Do it and let me know what it’s like! So many choices and they all have me thinking that I need to pack a bag and JUST GO! Like you I’m drawn to the history and beauty of the medieval towns so Cordes-Sur-Ciel is very tempting and Corsica and Brittany have been on my “Must See” list for years. No wonder you keep returning to France! Yes, I just keep discovering more beautiful places to see! Thanks for the reminder of all the places in France that we sometimes forget about. I’ve got to get to Corsica and the Alps. Great list Jan! Thanks. I keep adding new places to my list….never ending! Thanks for introducing me to places in France that I wouldn’t have discovered on my own. Love getting to see the places not on everyone’s radar. Me too and that’s why I’m always on the search for new places. I’ve only been to two of these places but am considering trying for a home exchange in France next year so thanks for all of the good ideas! That would be amazing! Living in a place in France for an extended period of time is what I love! Every spot looks amazing, but the sand dunes at Dune de Palat are so other worldly and unexpected I’d have to put that up at the top. I was pretty shocked to learn about the Dune and need to see it too. So unusual. 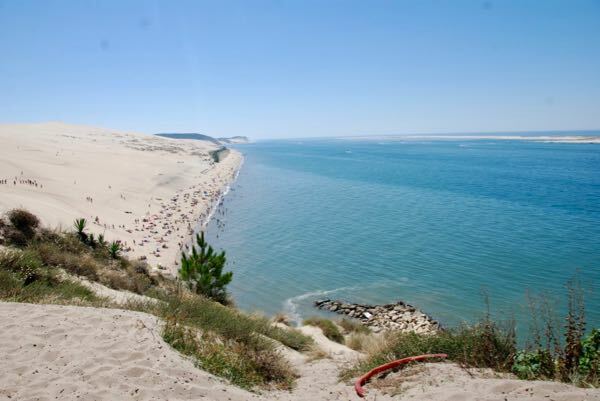 There is only one dune called Dune du Pilat that is the biggest dune in Europe and indeed breathtaking. In high season there are wooden steps you can use to reach the top. Out of season one has to climb the sand. In any case a wonderful site! These are all lovely places but 1,3,4,5,9 and 10 caught my eyes. I’ve visited Paris many times but it’s time for me to see more of France. One day! Thanks for bringing them to light. Oh…and lovely photos.